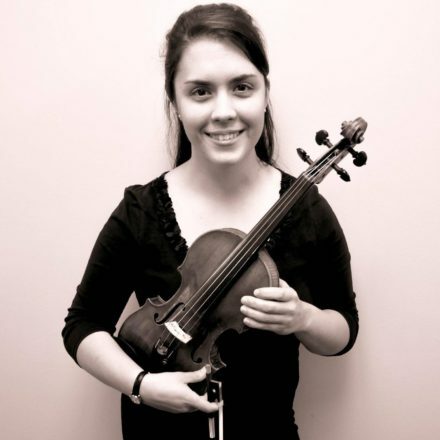 Darya Barna is a recent graduate of the Ithaca College School of Music where she received a dual Bachelor’s degree in Violin Performance and Music Education. She is currently pursuing her Master’s Degree in Performance at the University of Maryland where she studies under David Salness, and is ecstatic to be joining the Harmonic Family. As a violinist, Darya began to play at the age of 5. She has participated in numerous music festivals across the United States and Canada. Most recently, Darya has participated as a Young Artist Fellow for the Apple Hill Center for Chamber Music festival in Nelson, New Hampshire whilst consecutively working as one of their Camp Directors. During her college career Darya performed in the highly recognized Ithaca College Symphony and Chamber Orchestras, serving as concertmaster for their 2017 season and becoming a finalist in their annual Concerto Competition. Within the New York Public School System, Darya has worked with orchestral string and guitar students from Pre-K through Grade 12. She has conducted middle and high school orchestras and coached student chamber ensembles across various ages. Darya is most passionate about individualized education for each of her students. Her favorite music to perform and study is Chamber Music, and enjoys implementing those small ensemble and musicianship skills in her lessons. Aside from music, Darya is an active photographer and a huge movie buff. She is excited to work in an inspiring environment at Harmonic Studios and to be living in the DC area.